It’s still “a no-brainer” in the 21st century, says Bridget Buxton. She bought a fixer-upper with her husband in a scruffy part of east London in 2016 because it’s a short walk to the high-speed crosstown rail line due to open this year. Prices are up 90 percent in the past five years for homes like hers, far outpacing the whole city. But now, the dawn of the driverless car—promising a utopia of stress-free commutes, urban playgrounds and the end of parking hassles—threatens to complicate the calculus for anyone buying property. It may take a while: The earliest examples of driverless services—buses, taxis and delivery vans—have already arrived, but widespread consumer adoption might not be here for a decade. And almost half a century passed from Henry Ford’s 1908 Model T, the first car for the masses, before suburbs designed for drivers took hold. And that’s why investors like Ric Clark, chairman of Brookfield Property Partners LP, the world’s largest real estate investment company, admit they’re involved in little more than guesswork. They’re just starting to think about what to do with all the space that could be freed up in a world where cars no longer sit idle for an estimated 95 percent of the time, whether unloved areas without mass transit might soon become more attractive, whether out-of-the-way greenfield sites will become valuable locations for warehouses. As fracking upended the oil industry by giving new life to old fields, so the driverless future offers to free up whole new neighborhoods. 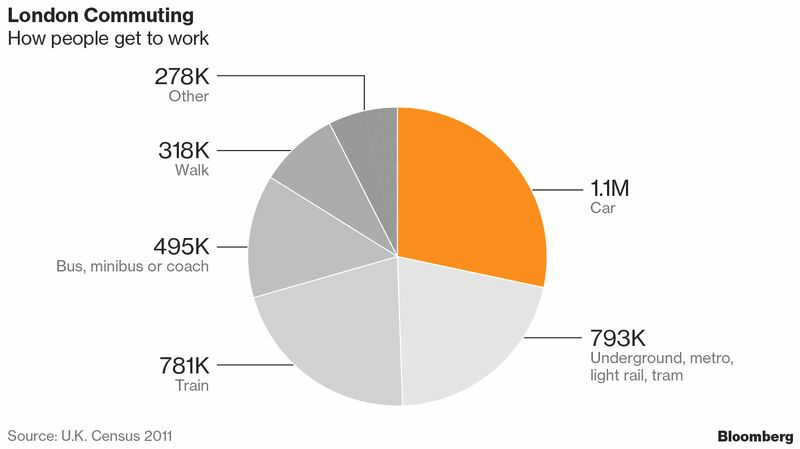 In New York City, parking covers an area equivalent to two Central Parks, according to estimates published by Moovel Lab, a Stuttgart-based research unit of Daimler AG; London would gain space equal to almost five Hyde Parks without its car-parking spaces. 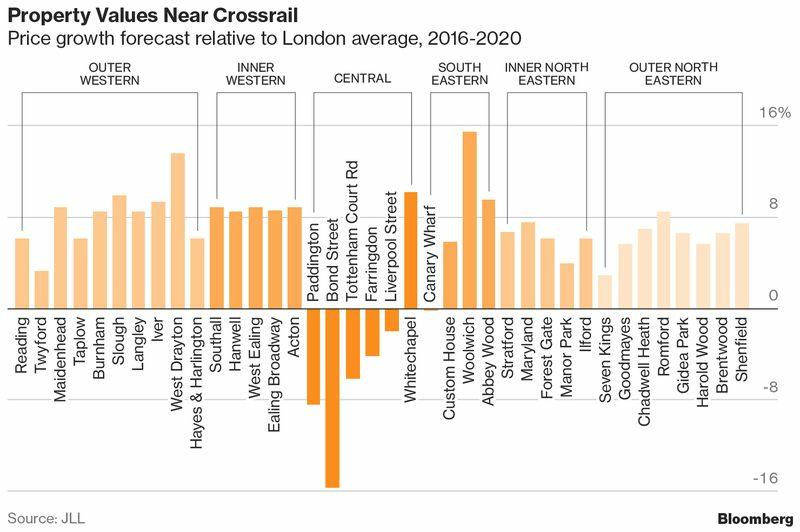 Then again, the disruption offers blessed relief to the working world’s most harried people—commuters—foretelling a new era of sprawl by encouraging development of outlying areas. David Williams, technical director at insurer Axa SA, travels more than three hours a day between the northern suburb of Bury St. Edmunds and his work in London. He looks forward to a time when his trip no longer consists of a drive through traffic to the station and a train that’s often delayed. Google parent Alphabet Inc. has imagined such a world in an autonomous-only future. Sidewalks Labs, Alphabet’s urban-development unit, is designing a district in Toronto’s eastern waterfront that could be among the first fully driverless neighborhoods. Some changes are likely to come much faster. Truckers’ adoption of self-driving vehicles could have a big impact on industrial land values, according to Bill Page, business space research manager at Legal & General Group Plc’s investment-management unit. 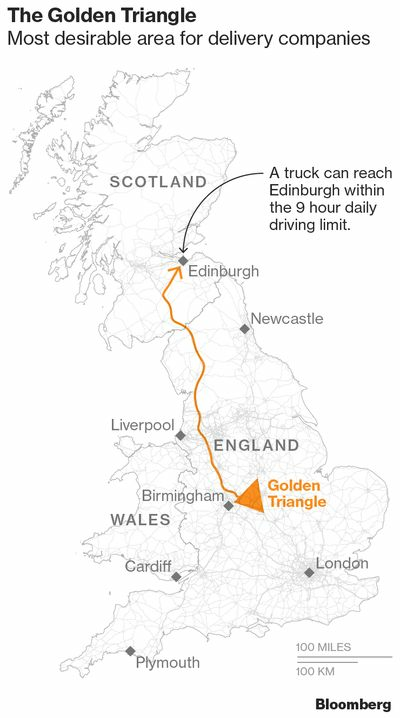 In the U.K., areas that have been most popular for delivery companies, like the so-called golden triangle in center of the country, may take a hit since there will no longer be limits on drivers’ shifts. Companies such as Amazon.com have to set up in the area, which is uniquely within a single shift drive from most everywhere in Britain, pushing up rents for warehouses in the region. For some investors the uncertainty about when driverless technology will hit and exactly what it will mean represent a potential threat; for those that feast on financial distress, it is an exciting prospect.